Capability is the first key factor to having a business that allows you to maximize its value, your net worth, and the quality, flexibility, and enjoyment of your life. 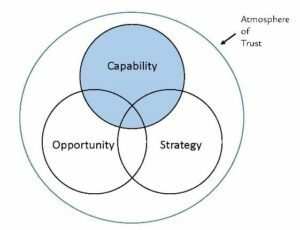 My research shows that when you add capability to the other key factors, opportunity and strategy and surround that with an atmosphere of trust, you can achieve whatever you desire. 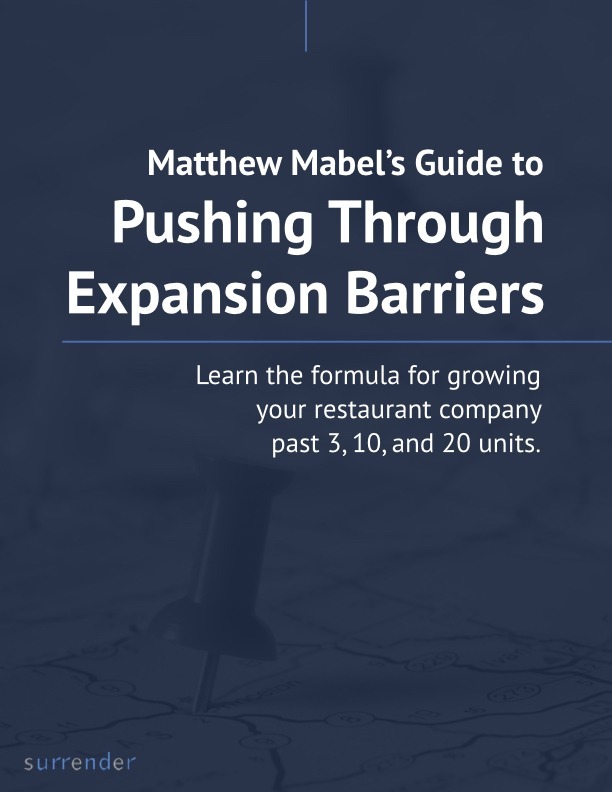 When you own a strong and capable multi-unit independent restaurant company, you are going to create an opportunity to achieve your dreams — inspiring your guests and employees to be happy and loyal at the same time. There are more than a few restaurants out there that would have higher guest counts, higher sales, greater profit, and a better reputation if only they focused on capability instead of worrying about the labor pool, the “restaurant bubble,” the government, or the weather. When I think of capability I think of execution…and my friend Mark Maguire of Maguire’s in North Dallas. Every restaurant in which I’ve seen him involved is exceptional at execution — and the restaurant business is nothing if not an execution business. When I think of joy and happiness — and the desire and ability to always improve — I think of my client Rex Benson, owner of Ol’ South Pancake House and Family Restaurant, in Fort Worth, who has done amazing things with a 55-year-old restaurant co-founded by his father. When I think of attracting and retaining people, I think of my client Adam Jones, owner of Grace and Little Red Wasp in Fort Worth. He has a keen eye for talent and it is not unusual for his key people to come up through the ranks and stay with him for decades. Do you own capable restaurants? How do you know? Follow my checklist below to find out. You are happy and joyful — and your organization prospers without becoming a burden to you. Your restaurants deliver a consistently excellent experience to every guest, every shift. Your culture permeates every interaction — and the guest can feel it. Your price/value proposition is strong. Your year-to-year guest counts increase out of proportion to the market. Your sales increase out of proportion to the market. You consistently attain or exceed budget goals. You can withstand competition because you are constantly updating your offerings and practices. You know how to attract and hire the right people and your retention rate is better than the industry average. The information your people need to manage is accurate and available in real time. How does your organization rate on these ten factors? Would improving on them have a positive impact? Where do you start to get better? When are you going to do that?